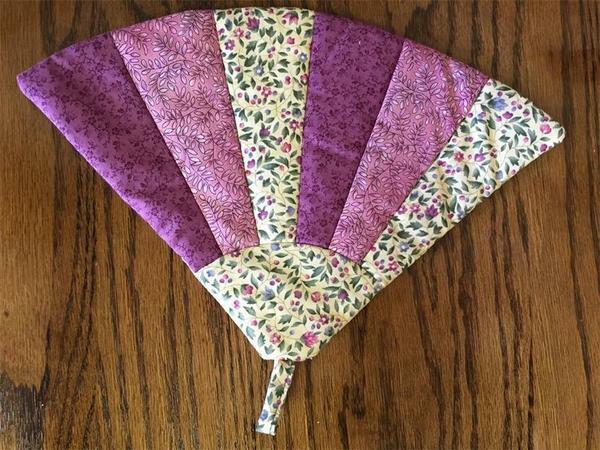 Melt your cares away with our Amish Quilted Fan Hot Pad Purple Red. This Amish made hot pad will protect your hands from getting burned and add style on your dining table. Spend more time enjoying your family being over for a hot cooked meal and less time stressing about how you will pass around the hot dishes at the table!